The entire Cluster Team of the European Commission would like to wish you a Merry Christmas and a Happy New Year 2019! 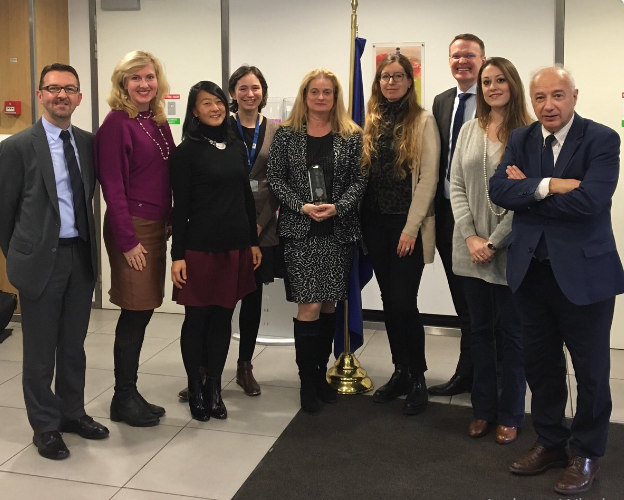 Thanks to your continuous support and enthusiasm in developing modern cluster policy, 2018 has been a major breakthrough in European cluster policy. (3) entrepreneurship and scaling-up (15 November). Watch our ECPF video here. Secondly, for the first time we gathered all the European cluster partnerships supported under COSME and Horizon 2020 to exchange experiences and explore linkages with other projects and initiatives. Watch our video on the European Cluster Partnering Event on 25 October here. 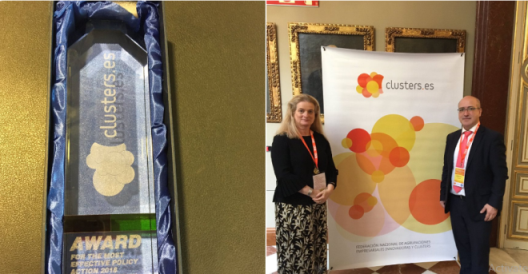 Thirdly, all our efforts have been recognized by the cluster community during the national conference of clusters in Spain, where we were honoured to receive the award for the most effective policy action 2018 dedicated to drive EU cluster policy forward supporting competitiveness of EU clusters and businesses. Firstly, our #EUClusterWeeks information and communication campaign, launched at the end of 2018, will see many national, regional, and local events for clusters and with clusters organised across Europe. Indeed, the EU Cluster Weeks highlights the role of clusters and the results they achieve for supporting SME growth, industrial transformation and regional economic development. If you are interested to organise an event under #EUClusterWeeks, click here. Secondly, the results of the EU Cluster Weeks initiative will be presented at the European Cluster Conference, which we are organising under the Romanian EU Presidency. We expect 400 participants from all countries across Europe to share their experience and inspire the future of European cluster initiatives after 2020. Save the date and join us at the 6th European Cluster Conference “Connecting Ecosystems for a Stronger Europe” 14-16 May 2019, Bucharest, Romania. Thirdly, at the beginning of 2019, we will launch a new call for proposals of the European Cluster Excellence Programme. This will introduce a new ClusterXchange pilot scheme, which will support exchanges between cluster managers and cluster members across Europe to strengthen interregional cooperation and uptake of solutions. And if you want to learn about what the EU does to support clusters - an overview the Cluster Initiatives funded by the European Union is available here. We are wishing you health, happiness and prosperity in 2019 and we are looking forward to continuing cooperating with you next year!